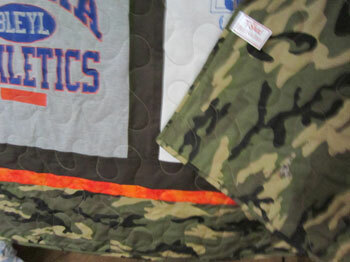 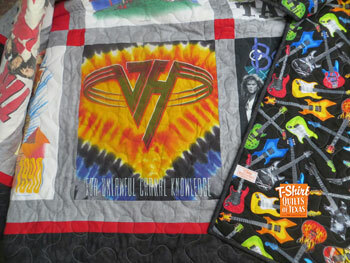 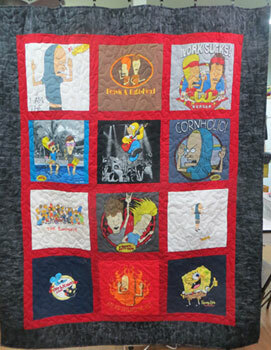 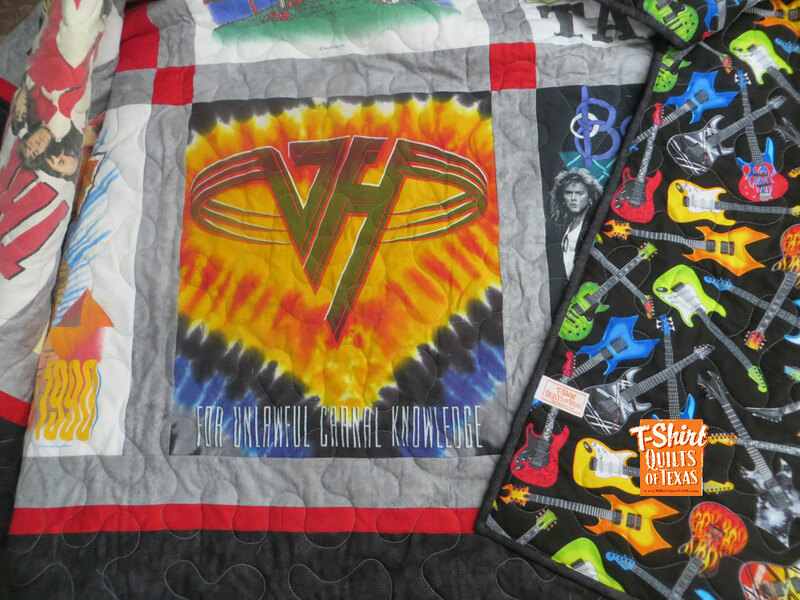 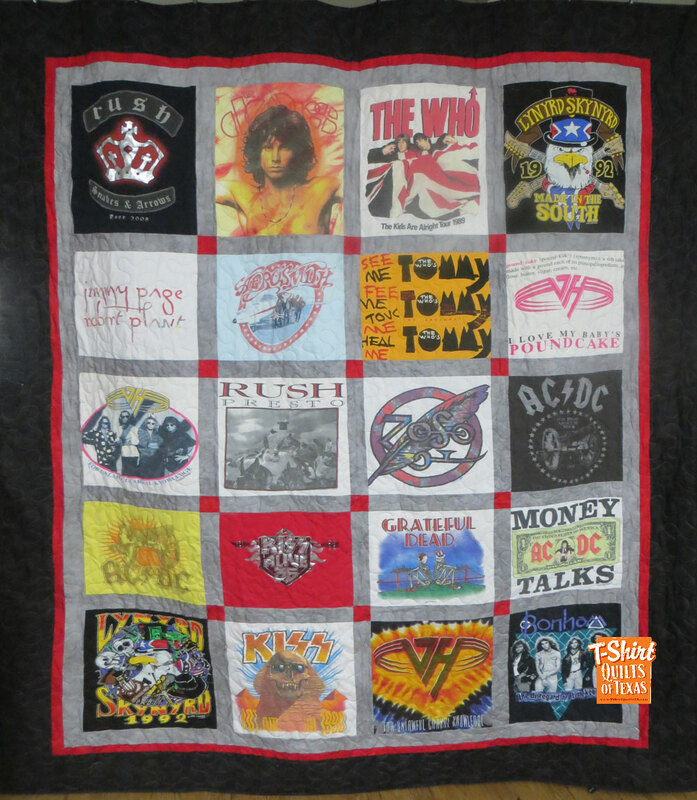 T-Shirt Photo Gallery- Fireman, Batman and Beavis quilts! 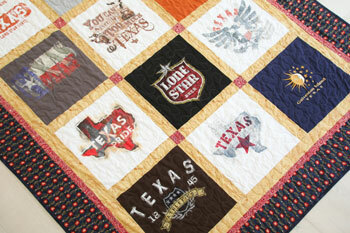 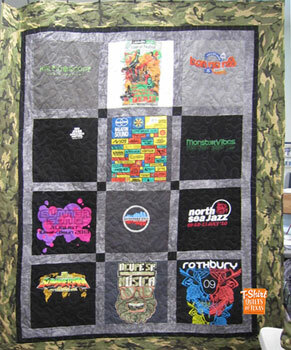 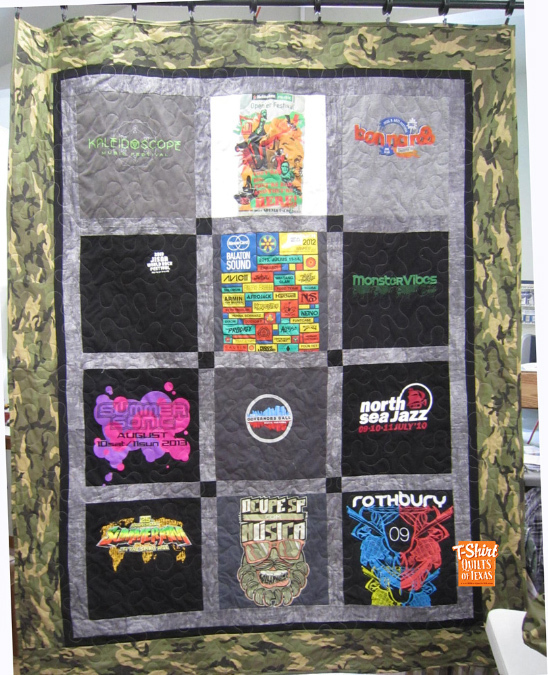 We've been making the finest t-shirt quilts since 2006. 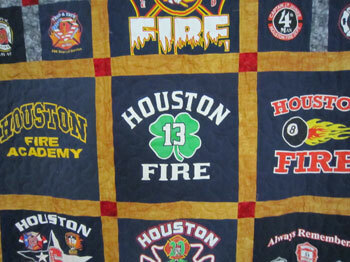 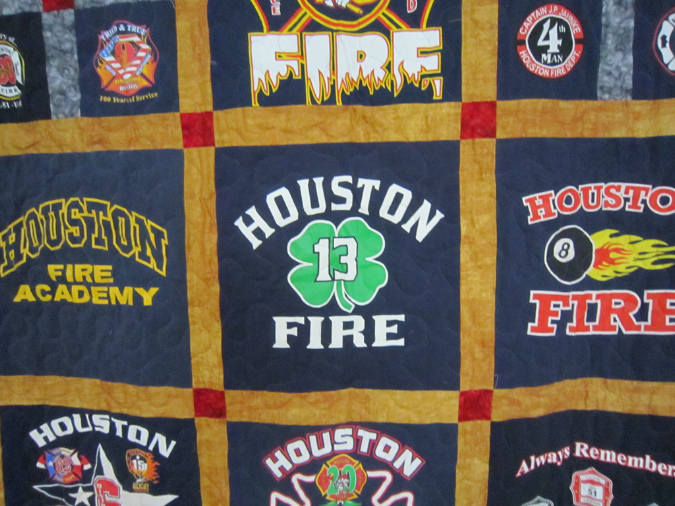 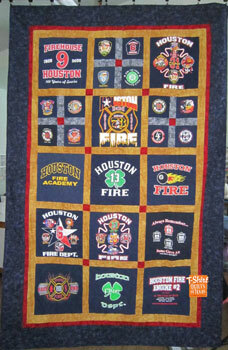 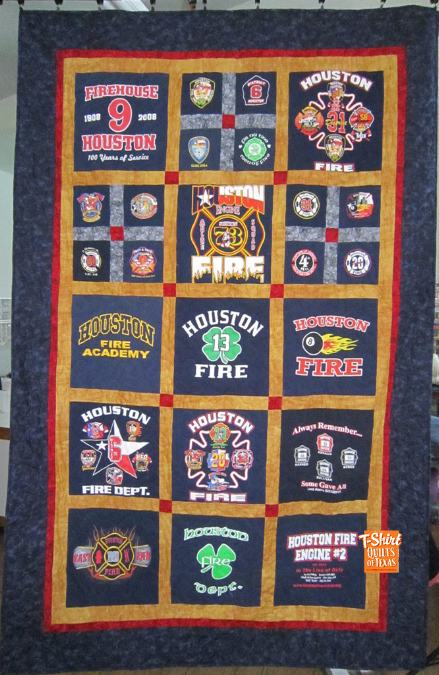 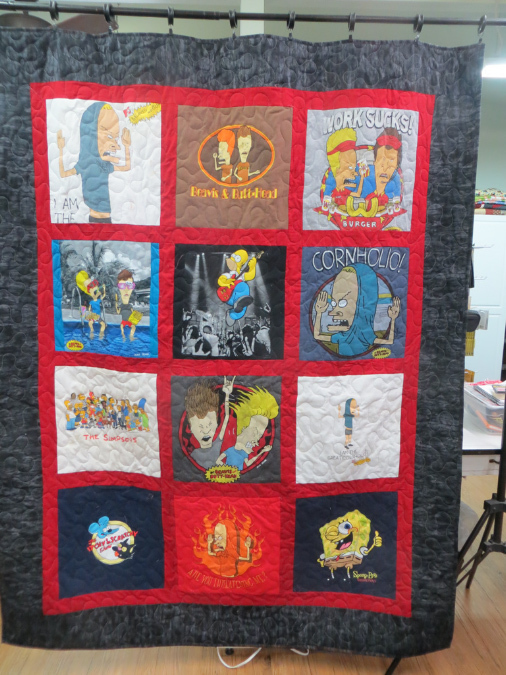 Featured on this page are quilts made from the Houston Fire Department, Batman, Beavis and Butthead and even camo themed quilts. 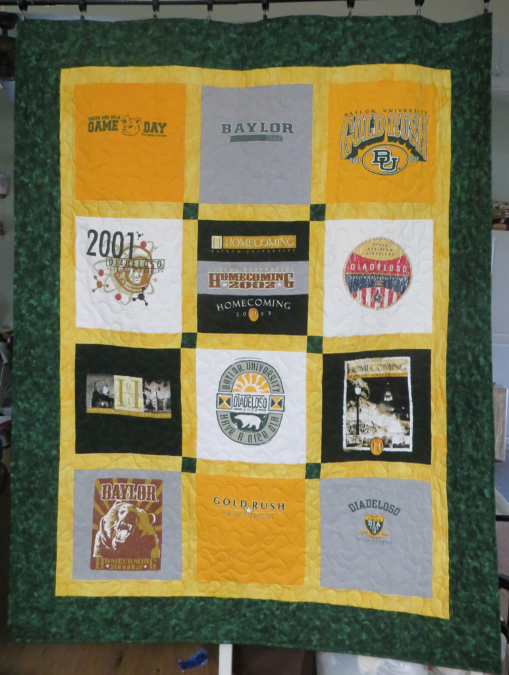 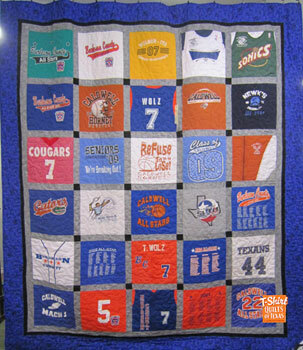 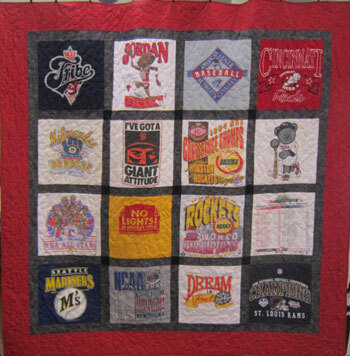 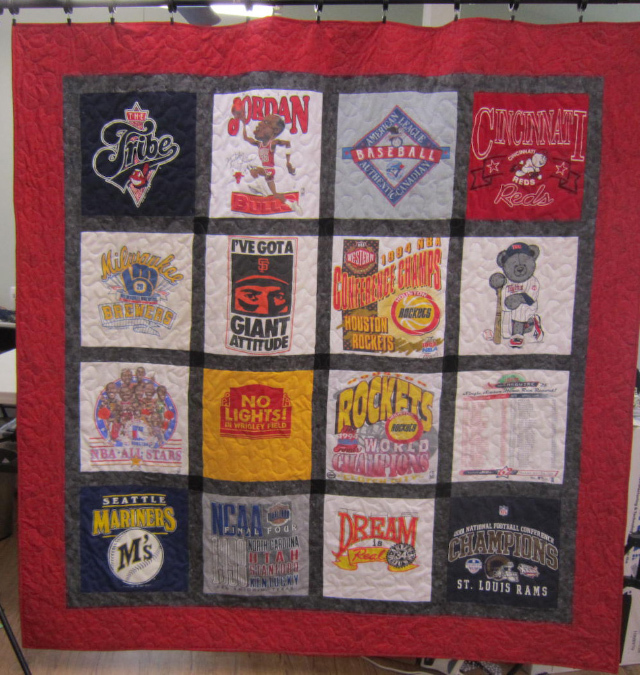 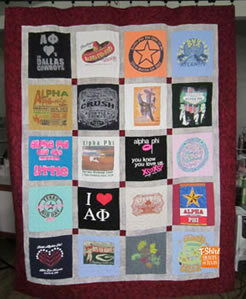 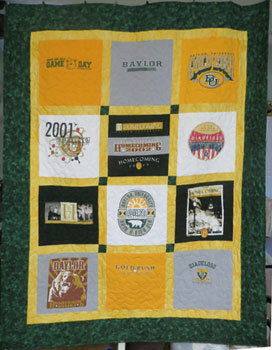 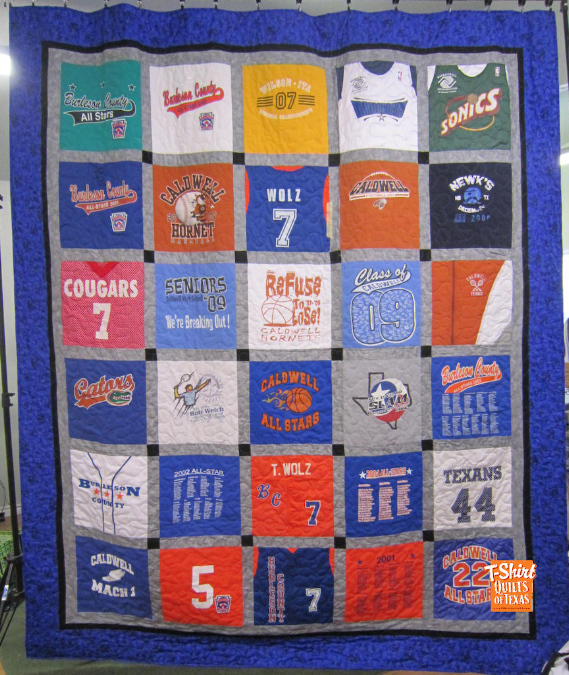 What ever your collection of shirts might contain, what better way to preserve those memories is with a quilt that you can use for a lifetime. 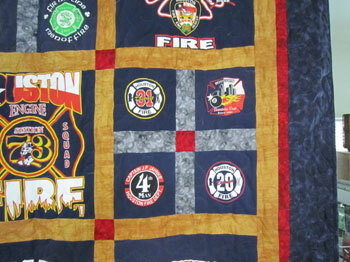 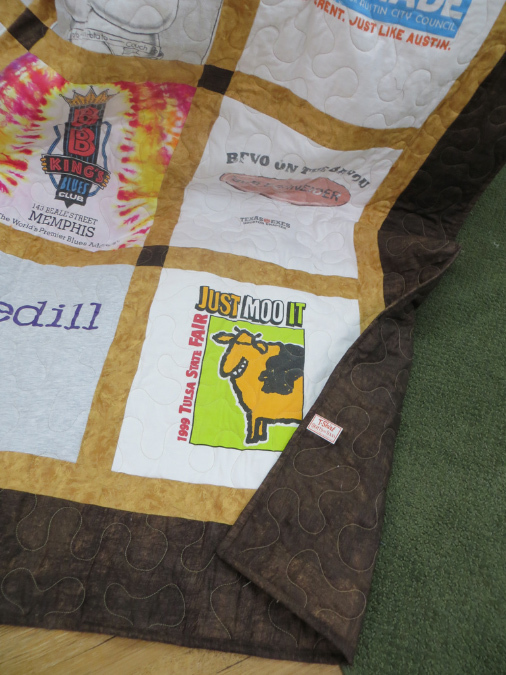 Our signature quilts (since 2006) include TWO borders with an optional 3rd border. MORE than anyone else on the web. 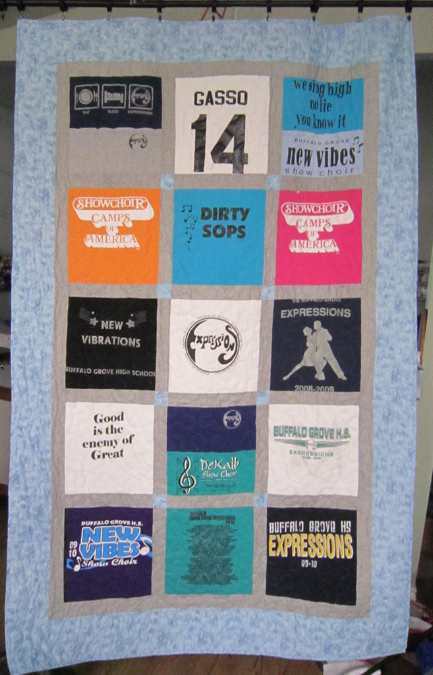 That's because I was a quilter long before I started making tshirt quilts. 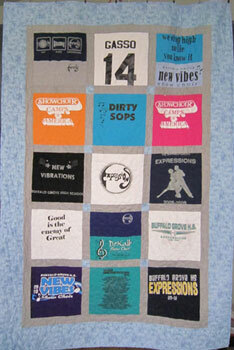 So, with our Standard quilt, you get two borders, sashings, and cornerstones all for the same price.